Brooklyn based composer/producer/performer JG Thirlwell, in arrangement with Adult Swim and Williams Street Records, is releasing two new soundtrack albums, the first of which being Music of The Venture Bros., Volume Two. This second volume follows up on the first volume, released in 2009; having been the score composer for the popular animated series since its 2003 debut, Thirlwell was this year nominated for the highest honor in the field of animation – the Annie Award – for his “outstanding achievement in music” on The Venture Bros.. Music of The Venture Bros., Volume Two is available on CD, vinyl, and digital formats – the CD contains 16 tracks, while the vinyl LP contains 13, along with a download code for the full digital release; sleeve notes by director Larry Charles are also included. The soundtrack is available via retail outlets, distributed by Virtual thru Sony Red. In addition, Thirlwell’s score for the latest release from video artist Tony Oursler, titled Imponderable is also being released. 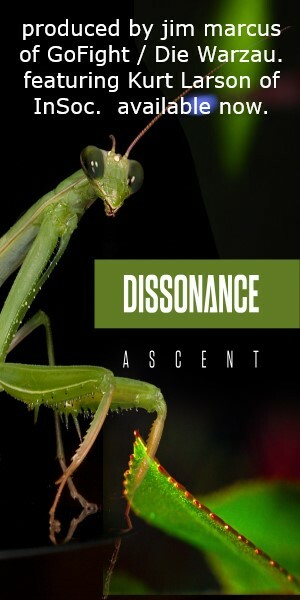 Available in CD and digital formats, with the digipack including a 48 page color booklet containing movie stills and images from Oursler’s archive of occult and supernatural phenomena, the soundtrack to Imponderable is available at the Museum of Modern Art, where Imponderable is currently being exhibited as an installation until January 8, 2017. Both soundtracks are also available via Thirlwell’s own online store. 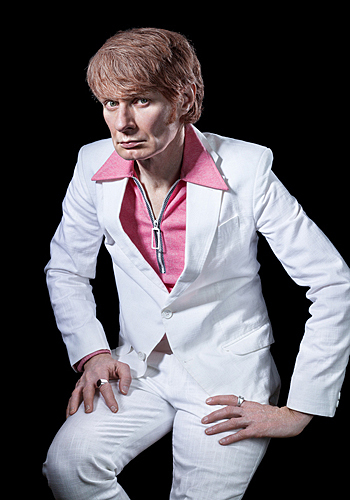 Known under his own name, as well as several pseudonyms – Foetus, Manorexia, Steroid Maximus, and Clint Ruin, to name a few – Thirlwell has released over 30 albums in his long and varied career, collaborating with a variety of artists including Lydia Lunch, Nine Inch Nails, Nick Cave, Raymond “PIG” Watts, Coil, Zola Jesus, and Karen O. He appeared on the Argyle Park Misguided album in 1995, collaborating with Celldweller and Circle of Dust mastermind Klayton – a remastered edition of Misguided will be released via Klayton’s FiXT label on August 19. Thirlwell recently began scoring the hit animated series Archer.